A European Experiences trip has an ideal balance of structure and flexibility, activities with the group and time on your own. Plans may be adjusted based on weather, the interests of group members, and unexpected opportunities. We’ll describe a “typical” Cornwall Experience, but every trip is somewhat unique. Your trip might be organized differently, and for various reasons, experiences may be added or not included. This sample itinerary also doesn’t include some special stops we’ll surprise you with when we’re together. Our group will meet mid-afternoon at the train station in Penzance, the end of the train line from London. We’ll travel just 15 minutes to the village of Mousehole, our home for the next week. Our hotel is right on the waterfront of Mount’s Bay and has a beautiful garden where you can enjoy drinks or relaxing. 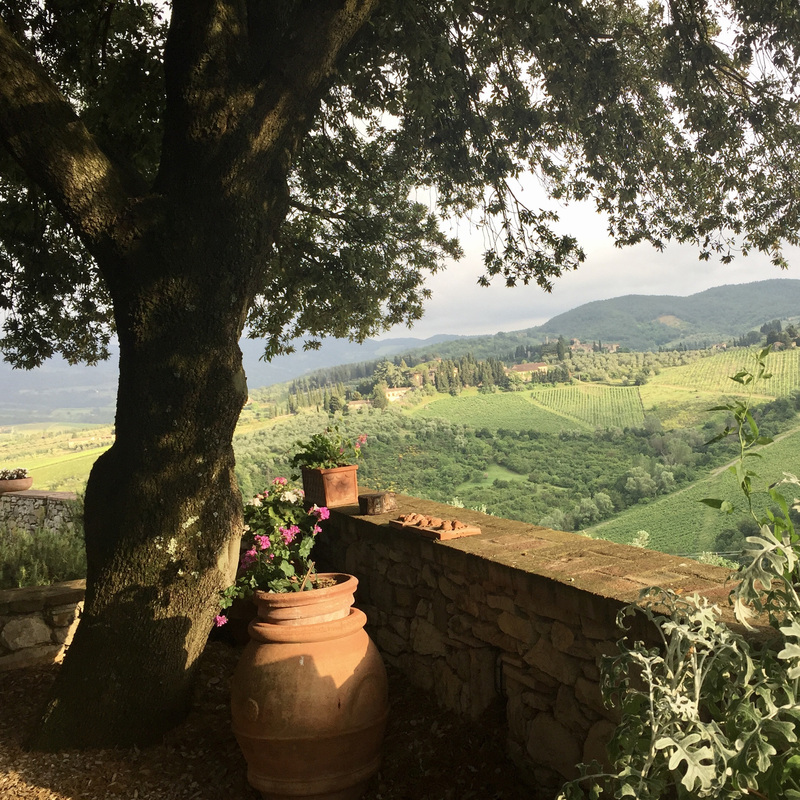 You’ll have time to settle into your room and perhaps to take a peek at the village before we gather for welcome drinks and dinner in the hotel’s award-winning restaurant. The food here will be one of many highlights of this trip! We’ll enjoy breakfast every morning in the hotel dining room, offering continental choices as well as a variety of options for a hot breakfast. You probably can’t eat the “full Cornish breakfast” (eggs, bacon, sausage, mushrooms, broiled tomato and more) every day, but you should try it at least once! On our first full day we’ll get to know the village of Mousehole and the surrounding countryside. 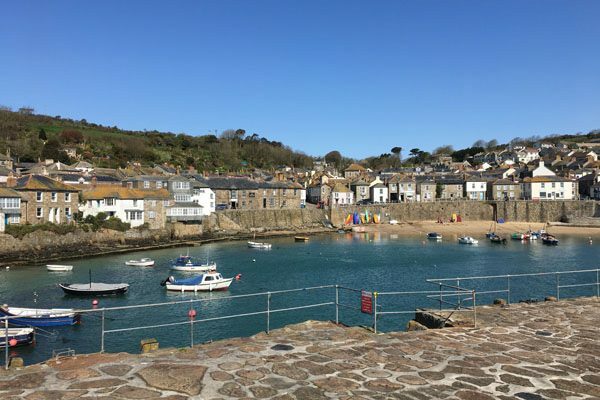 In the morning we’ll explore Mousehole with local guide Anna, making our way around the small streets of this charming village and learning about its fascinating history. After a light lunch back at the hotel, we’ll meet local archaeologist and historian Tony who will share some of his favorite places on the moors of the Penwith Peninsula. Prehistoric people lived in this area over 5000 years ago, using the plentiful stone to construct dwellings, stone circles, burial tombs, hillforts and much more… many of which are still evident today. Our afternoon with Tony will likely include stops at the Merry Maidens stone circle (from the late Neolithic-early Bronze Age, 2500-1500 BC) and Carn Euny, a settlement dating back over 2000 years including a “fogou” or underground passage. We’ll also visit the Minack Theatre, a unique, open-air theater carved into the cliffside over the Atlantic ocean 80+ years ago; it’s an incredible place with spectacular views. The site includes an interesting museum and is landscaped with subtropical plants. Dinner tonight is at one of our favorite restaurants in Mousehole, highlighting local specialties including fresh seafood from nearby Newlyn. We’ll focus today on the area around the towns of Penzance and Marazion. 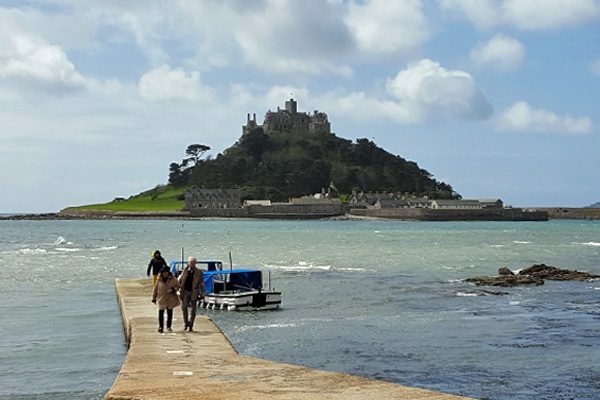 In the morning we’ll visit St. Michael’s Mount, a small island in Mount’s Bay that’s visible for many miles. The island was topped by a monastery in the 12th century (affiliated with Mont St. Michel in France). Later the religious buildings were converted to a fortress/castle, which has been the home of the St. Aubyn family since 1650. Depending on the tides, we’ll make our way to and from the island either on a man-made stone causeway or small boats. After a short introductory talk, you can climb the hill to tour the castle and chapel or visit the lush garden on the back of the island. The island also includes a museum, a few shops, and two cafes. Next we’ll return to the hills above Penzance to visit Trengwainton garden, a 98-acre National Trust property known for its collection of exotic shrubs and trees (including award-winning magnolias and rhododendrons), large walled kitchen garden, and views across Mount’s Bay. After lunch at the garden’s tea room, we’ll learn more about the garden from one of the gardeners and then you’ll have time to explore on your own. Before returning to Mousehole, we’ll stop in Penzance, a busy town of 20,000+ people and the commercial center for Western Cornwall. This historic port town, with a terrace-lined main street, features some beautiful architecture; you can also enjoy and a variety of specialty shops and galleries, chain stores, pubs and cafes. We’ll have a flexible dinner at our hotel tonight; instead of dining as a group, you can dine in smaller groups and on your own schedule. This morning we’ll travel east for a very special day. Our first stop is the Eden Project, a vast “global garden,” including the world’s largest greenhouses. Opened in 2001, the project was developed in an abandoned industrial site used to mine clay for the china industry. Today there are two large “biomes,” which simulate natural environments, one a tropical rainforest and the other a warm temperate climate. There are also extensive outdoor gardens and unique art installations. It’s educational, inspiring, fun and totally unique! After a short introductory session with one of the Eden Project team, you’ll be free to discover and explore the site. Lunch is on your own in one of the biome kitchens or at the coffee shop. You’ll also want to visit their extensive shop featuring nature-inspired products. We’ll then travel a few miles to Lanhydrock, a great country house from the late Victorian era, set in 900 acres. Fifty rooms in the house are open to the public. The self-guided tour of the house includes the “upstairs” family and entertaining areas, as well as the “downstairs” servants quarters. After visiting the house you can explore the surrounding gardens and parkland, including the adjacent 15th century church. We’ll enjoy dinner tonight as a group at our hotel. Today we’ll visit the town of St. Ives, on the northern coast of the Penwith Peninsula, less than 30 minutes from Mousehole on the southern coast. 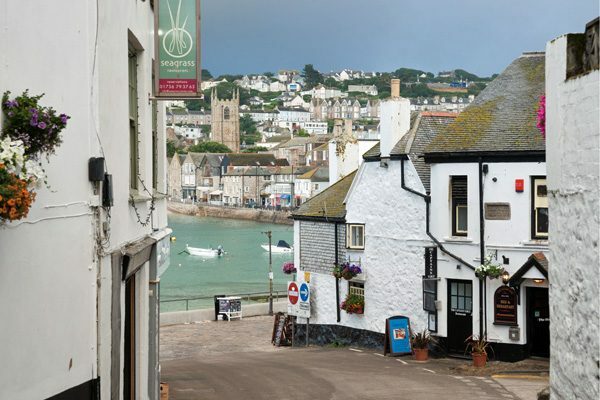 Located on a hilly point, St. Ives has been a busy fishing town since the Middle Ages, though today it’s focused mostly on tourism and the arts. We’ll meet up again with our guide Tony, who lives in St. Ives. He’ll lead a walking tour of St. Ives, giving us a much better appreciation of the history and culture of this special town. Our walk with Tony ends at the Barbara Hepworth Museum and Sculpture Garden. Barbara Hepworth (who died in 1975) lived and worked in St. Ives for over 45 years and is considered one of the greatest British sculptors of the twentieth century. The museum is located in her former home/studio and over 30 of her sculptures in bronze, stone and wood are on display here. Lunch today is on your own in St. Ives, where you’ll find many options. You can then wander the tiny streets, walk on one of the beaches, or visit some of the many shops and artist galleries. You may also want to visit the Tate St. Ives, a branch of the famous Tate Modern in London. The Tate St. Ives exhibits modern and contemporary work by artists with connections to the area around St. Ives. In the afternoon we’ll offer an option to walk with Kathy on a four-mile stretch of the South West Coast Path, a 630-mile national trail that circles the southwest coast of Great Britain. It’s an interesting walk with a few climbs and descents, offering spectacular views along the coast. Those who don’t walk will have more time in St. Ives and then meet Charley for a short scenic train ride to join the walkers at Lelant for the trip by coach back to Mousehole. Tonight is another flexible dinner at the hotel, where you can dine in smaller groups on your own schedule. We’ll spend today back on the Penwith Peninsula. After a stop at Lanyon Quoit, a unique prehistoric stone structure, we’ll travel across the moors to the Geevor Tin Mine. Tin and copper have been mined in the area since pre-Roman times and the landscape is dotted with ruined mine buildings, now included in a UNESCO World Heritage site. Many scenes from the BBC miniseries “Poldark” were filmed in this area. The Geevor Tin Mine operated between 1911 and 1990, when it produced about 50,000 tons of black tin from 85 miles of tunnels. It is now a museum and heritage center, preserving a living history of a working tin mine. Our group will have a private tour with a former miner, learning about the mining processes and the lives of the miners. The visit will include an optional underground walk inside a section of a former mine. After our mine visit, we’ll enjoy lunch at a special inn in an isolated spot on the moors. In the afternoon we’ll stop in the nearby village of Zennor (population 196), known for its unique church. 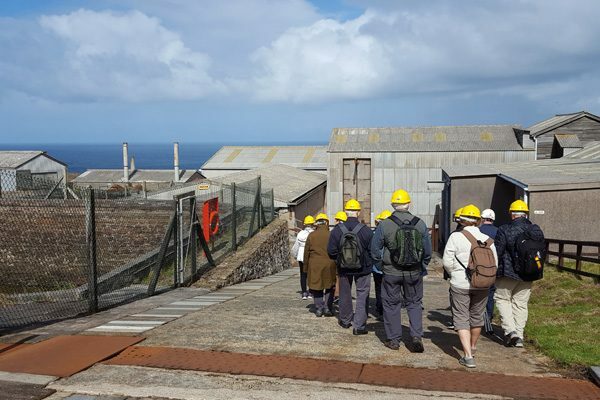 Our last stop will be Cape Cornwall, an unspoiled spot on the rugged coastline where the waters of the Irish Sea and the English Channel meet. Tonight’s dinner is at a very welcoming local café and deli in Mousehole, opening this evening for a private dinner for our group. We’ll spend today around the town of Falmouth, located off the English Channel on the Fal River. The Falmouth harbor is the third deepest harbor in the world and the deepest in Europe. There was an American naval base here during World War II, and Falmouth was one of the training and launching places for the D-Day landings. In the morning we’ll take a boat trip on either the Fal River or the Helford River and Frenchman’s Creek, depending on the sea conditions. We’ll get a look at life on the river, passing by historic and natural sites. We’re sure to see some sea birds too. We’ll provide everyone with a packed lunch to eat on the boat. 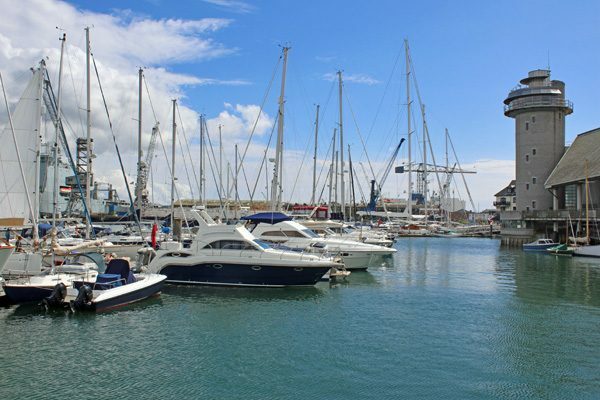 Later you’ll have time on your own to explore Falmouth, one of our favorite towns in Cornwall. This could be a good day to enjoy a Cornish cream tea. You’ll enjoy browsing in the shops and admiring the architecture of this lively town. We highly recommend a visit to the excellent maritime museum, where you can learn more about the maritime history of Cornwall. (In 2019 there’s a major exhibition about the Titanic.) You could also take the Falmouth town shuttle around the point, stopping to visit Pendennis Castle, built by Henry VIII in the 1540’s. It’s our last night in Mousehole, but not the end of this Experience trip! Our group will enjoy dinner together back at our hotel. After an early continental breakfast at the hotel, we’ll leave for Penzance and board the daily ferry for the 2-3/4 hour trip to the Isles of Scilly, 28 miles off the mainland. The ferry docks at the main island of St. Mary’s, where we’ll transfer to a much-smaller ferry for the short ride to St. Martin’s, one of five inhabited islands. Our hotel on St. Martin’s is a beautifully-landscaped, small resort right on the water, with a white sand beach and views of neighboring islands. We’ll be welcomed by the attentive team and enjoy a light lunch before checking into our rooms, all with sea views. Later we’ll take a leisurely, easy walk across the island on the one-lane paved road. We know you’ll be enchanted by the simplicity and beauty of St. Martin’s. On the way back to our hotel, you may want to stop at the friendly island pub, just five minutes away. Drinks and dinner tonight are at our hotel. Hopefully we’ll enjoy an incredible Scilly sunset! We’ll leave St. Martin’s mid-morning for a private boat trip around the islands to learn some of the history and see some of the sights (including an abandoned lighthouse on its own island). We hope to spot seals, puffins, and other sea birds. The puffins are much smaller than you might expect, so bring your binoculars! Our boat will leave us on the island of Tresco where we’ll spend the rest of the day. 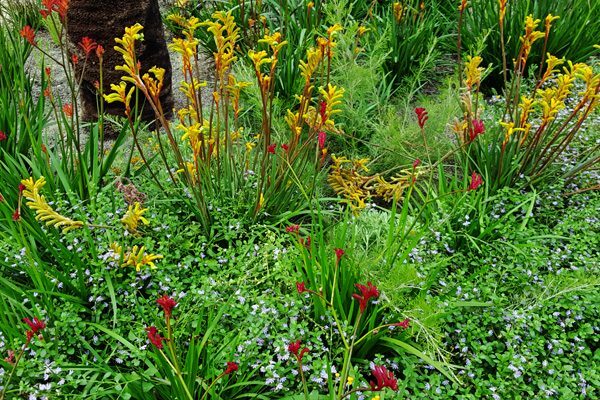 We’ll first visit the world-famous Tresco Abbey garden, a subtropical garden developed in a barren location in the 19th century by Augustus Smith and encompassing the ruins of a Benedictine Abbey founded in the 10th century. 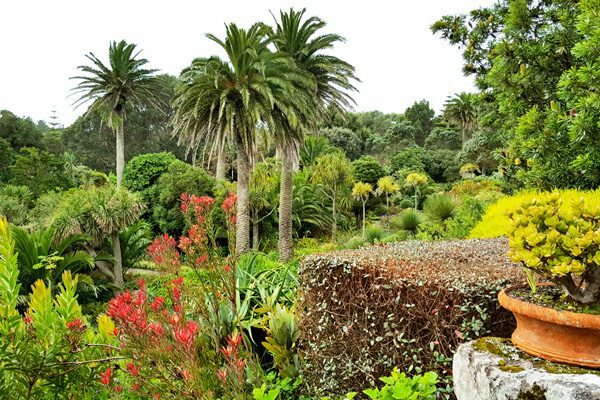 Because of the mild winter climate in the Scillies, the long hours of summer sunshine, and the high walls and hedges around the garden that protect it from wind, the 17-acre garden is now home to thousands of exotic plants from all over the world. 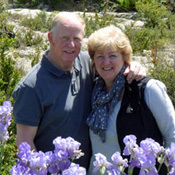 Our group will be welcomed by one of the gardeners, and then you can continue on for guided tour or wander on your own. You’ll also enjoy the Valhalla collection of decorative figureheads and other carvings from sailing ships shipwrecked off the islands over several hundred years. Lunch today is on your own at the garden tea room or the island pub. (Depending on the day of our visit, you may also be able to buy food at the island shop and deli.) 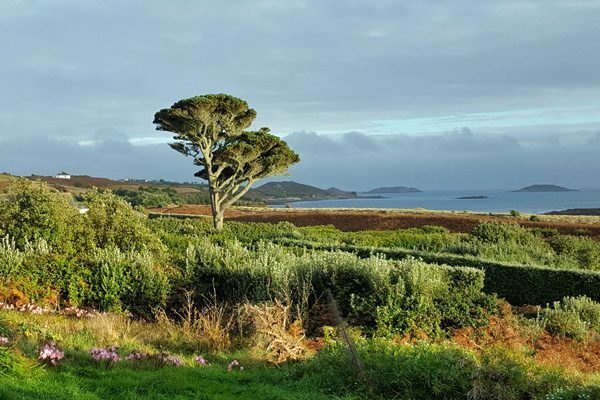 You’ll have time to explore more of Tresco island before our afternoon boat back to St. Martin’s. Dinner tonight is at our hotel on St. Martin’s. You can relax over breakfast this morning and enjoy your last few hours on St. Martin’s. A ferry will take us back to St. Mary’s, and then we’ll travel across the island to the small airport and our 30-minute flight to Newquay on the northern coast of mainland Cornwall. We’ll have a quick lunch today at one of the airport cafés. In 2019 our group will spend our last night together in the historic center of Truro, Cornwall’s only official “city” (with a population of less than 20,000 people). We’ll enjoy a short walking tour of Truro with a local guide before our farewell dinner. Our last-night base will change in 2020, when our groups will spend this night in the waterfront village and port of Fowey. You’ll have time on your own to explore this quaint village and for some last shopping in Cornwall before our special farewell dinner. After breakfast at our hotel, it’s time to say goodbye. Most people will take a train back toward London, departing from the station at Truro in 2019 and from Par in 2020. (It’s also possible to fly from Newquay.) We’ll organize taxis to the train station based on departure schedules.